Please contact me regarding the 2018 Peterbilt 337 - Stock# 461693 for sale at TruckerToTrucker.com. Take a look at this 2018 Peterbilt 337. It is Stock# 461693 at TruckerToTrucker.com. 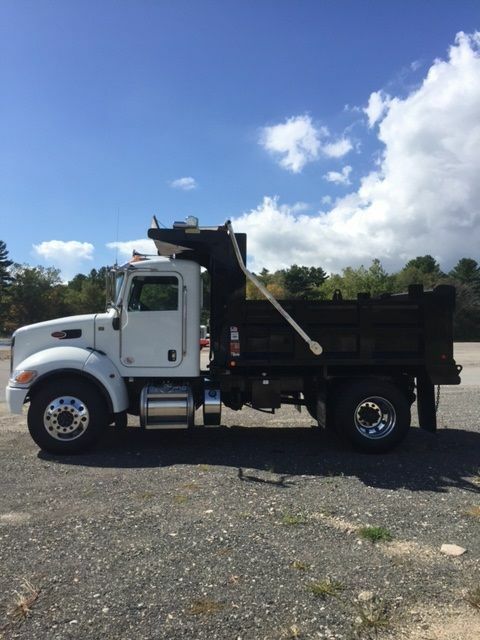 11' Beau-Roc Dump Body, 36" Sides, Paccar PX9 Engine 330HP, 10 Speed Transmission, 11R22.5 Tires, 166" Wheelbase, Reyco Suspension,10,000 Front Axle, 23,000 Rear Axle, 33,000 GVW, Cab & Chassis Well Speced Truck Call The Pete Store.